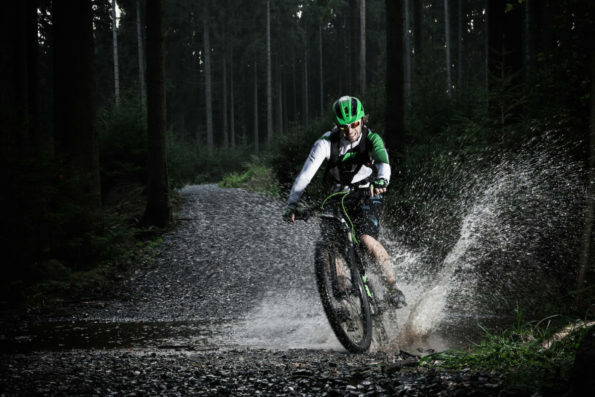 Do you crave the freedom of mountain biking in the rain? Or are you someone who enjoys getting completely covered in mud? We agree that can be incredibly fun. What’s not so fun, though, is when you have to clean your mountain bike afterward. You might wonder how to clean a mountain bike properly. That’s where we at The Adventure Junkies come in. We’re committed to providing our readers with the best information about all things outdoors. 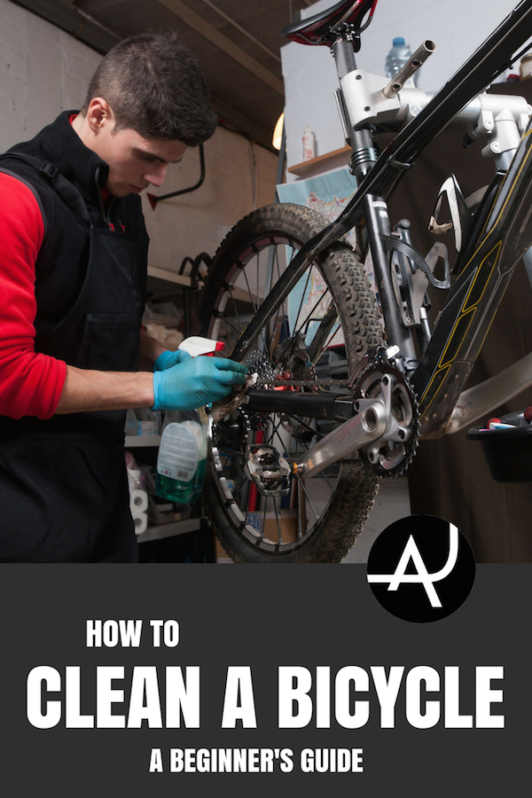 In this article, we’ll walk you through the process of cleaning a mountain bike. We’ll also talk about why it’s important to keep your bike clean. Mountain biking is arguably one of the dirtiest and messiest sports out there. There’s nothing as liberating as flying downhill through a puddle or getting completely soaked in a rain shower. Where the fun ends, however, is when you get back home and face the task of cleaning your mountain bike. The reasons behind why it’s so important to clean your bike, whether you’re road biking, bicycle touring or mountain biking, are simple. Getting mud, dirt and water off helps to keep things working longer. 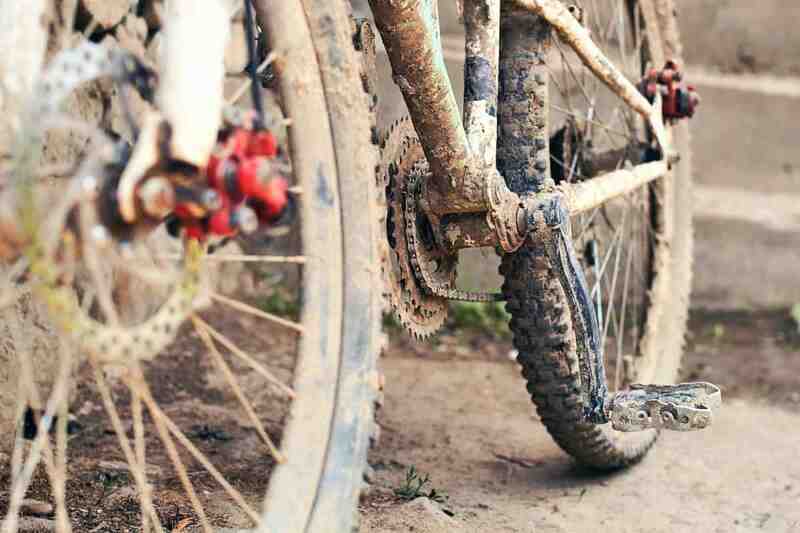 Dried-up mud and water can have a corrosive effect on your frame, chain and gears. Cleaning your bike immediately after your ride helps to keep it going longer. It would be a shame to have to replace certain parts just because you didn’t feel like giving the bike a thorough cleaning. A good clean also improves your bike’s performance. 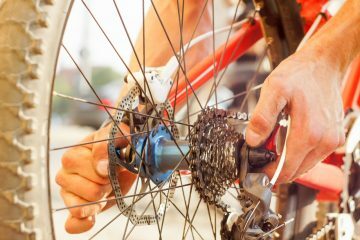 The final step in the mountain bike cleaning process (see below) is lubricating your chain and gears. 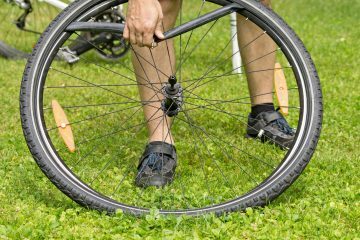 This is an essential aspect of bicycle maintenance. You can pick up pretty much everything you need to clean a mountain bike at your local hardware store or chain stores like Walmart. 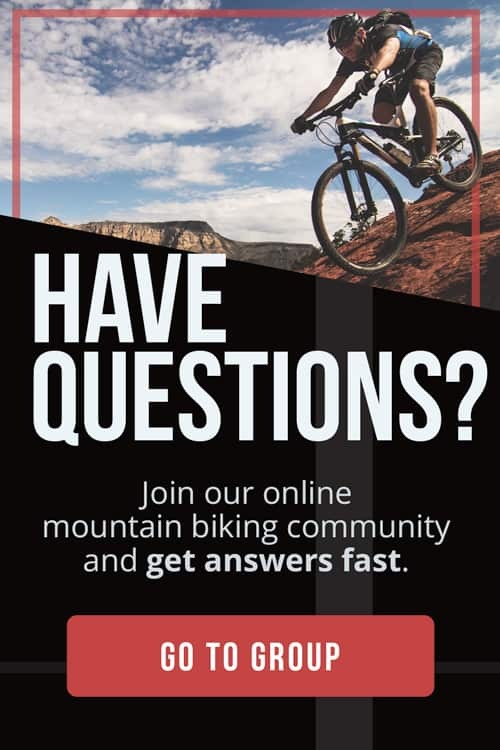 According to Mpora.com, you’ll need a hose or a bucket of water, a clean cloth, a spray bottle of all-purpose cleaner, a hard bristle brush, a sponge or soft bristle brush, and some bicycle lubricant. Note that the bicycle lubricant is the only thing that’s not widely available in the big chain stores. You might have to visit your local bike shop for that. A bicycle stand is great to keep your bike standing upright while cleaning. If you don’t have one, that’s fine. You can simply lean your bike against a tree or wall instead. Having to clean your bike after an exhilarating ride may be kind of a buzzkill, but, as SingleTracks notes, it doesn’t need to take that long. By following the step-by-step guide below, your bike will be spotless and shiny in no time. It’s good to know that there’s no need to clean your bike every single time you go for a ride. Cleaning it too often does more damage than good. Scrubbing it with a hard bristle brush every week is a sure-fire way to decrease the lifespan of your bike. If your bike is actually dirty, that’s when it needs a bath. Find a good place to wash your bike. Lean it against a wall, put its kickstand down or place it in a bike stand. Just make sure it’s upright and can’t fall over. Then, take your water hose and spray down the bike completely. Use low pressure to do this (high pressure can damage seals and other delicate components). This initial step will remove all loose dirt on your bike and loosen up dried mud. Hosing is also the only thing your bicycle tires need. After thoroughly spraying them with water, they’ll be fine. After your bike has gotten its first soaking, get the all-purpose cleaner and spray it down thoroughly. This cheap product cuts through grease, dirt and mud, and even the lubricant you put on your chain before. It’s great to remove everything from your bike. Once it’s sprayed down, take your soft bristle brush or sponge and wipe your entire bike down. Don’t rub too hard, though. By now, all dirt and mud should come off easily. Try to get everywhere, even the hidden corners and narrowest crannies. When you’re done with that, grab your water hose and spray down your bike again. Steps one and two take care of your bike’s frame, which should be spotless by now. 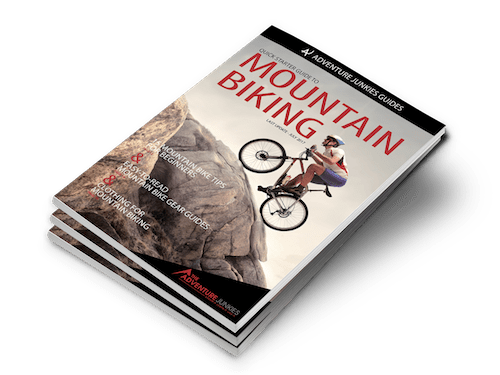 Next up is one of the most important parts of your mountain bike: the drivetrain, which includes all parts that let you pedal the bike, from gear and derailleurs to cranks and chain rings. It’s important to clean the gear sets thoroughly because this part of your bike accumulates lots of grease, grime and dirt. To do this, get your all-purpose cleaner again and spray down all components of the drivetrain. Grab the hard bristle brush for this important step. Now, you’re going to spin the pedals backward so that the chain and gear sets rotate. Hold your hard bristle brush against the gear sets. Move the brush up and down, from left to right, to ensure that you really get in between the chain rings. Make sure to get the derailleurs and pedals as well. Finish off this step by rinsing everything off with your water hose once again. Your bike should be spotless now. Next up is taking a clean cloth and drying your bike with it. Make sure to run it across every part, paying special attention to your frame. Use an old cloth for drying off your bike. Even though it’s pretty clean now, the cloth will still get dirty as you soak up the water and spray. After lubricating the suspension, it’s time to do the same for your drivetrain. Pedal back a couple of times to check if all water is gone. Put some lubricant on the chain and continue to run it backward. To ensure there’s not too much lubricant, get a clean cloth and run the chain through it. Don’t forget to lube your derailleurs and chain rings as well. Lastly, if you have disc brakes, it’s critical to avoid getting lubricant on them. Lubed disc brakes need fixing. You should clean your disc brakes like you do the frame. Simply hose them down, brush them down and dry with a cloth.